Carnival Cruise Lines, Texas’ largest cruise operator, today announced an exclusive, multi-year partnership with the Dallas Cowboys, making Carnival the Official Cruise Line of the legendary NFL franchise and expanding the cruise operator’s already wide-ranging commitment to the Texas market. Carnival, which will homeport a third year-round ship in Galveston next year, will enjoy extensive branding and visibility through Dallas Cowboys-owned properties and bring its signature brand of fun to fans. In its new role as the Official Cruise Line of the Dallas Cowboys, Carnival will add fun and memorable fan experiences to tailgaters at home games with its new “Fun Crew,” which tours the lots at AT&T Stadium on branded golf carts, offering exciting prizes to Cowboys fans, including the chance to win one of many cruise vacation giveaways. The Carnival brand will also be highly visible on digital marquees in the stadium and on other Cowboys media and online properties. Fans can also get in on the fun through a host of social media promotions and activities, giveaways and more. The line’s partnership kicks off this week with the exclusive sponsorship of the Dallas Cowboys Training Camp Daily News Show airing regionally on Fox Sports Network. During nightly camp updates, new “Carnival 1st & Fun” segments offer an inside look at the fun firsts Cowboy’s reporter Lindsay Cash experienced on her recent Carnival cruise vacation. The segments will also be available at Carnival’s YouTube page (www.youtube.com/carnival). 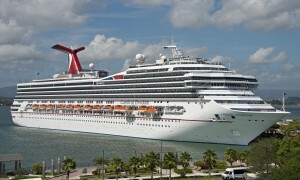 The Dallas Cowboys partnership coincides with the line’s upcoming deployment of a third year-round ship, Carnival Freedom, to Galveston in February 2015. With the addition of Carnival Freedom, which recently underwent an extensive multi-million dollar makeover, Carnival expects to carry more than 600,000 guests a year from Texas – the most of any cruise operator. 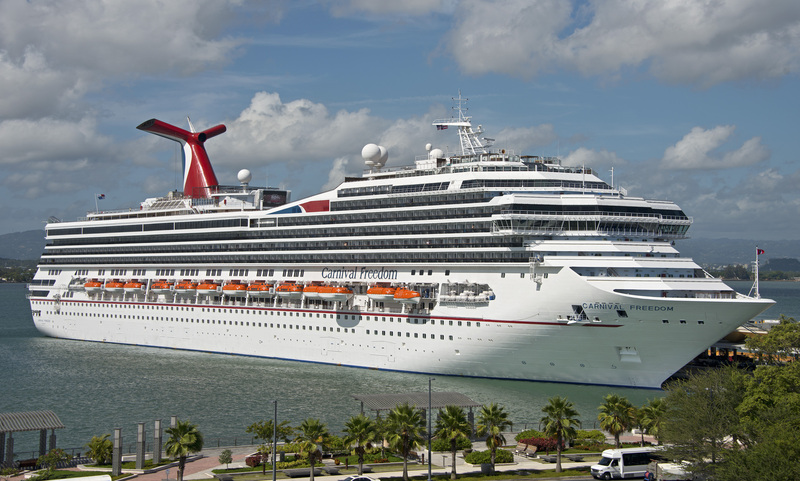 Carnival Freedom will join Carnival Magic in offering seven-day Caribbean cruises and Carnival Triumph which sails on four and five-day voyages to Mexico.